Another stunning creation from “The Godfather”, Zodiac’s General Manager Ton Pels. 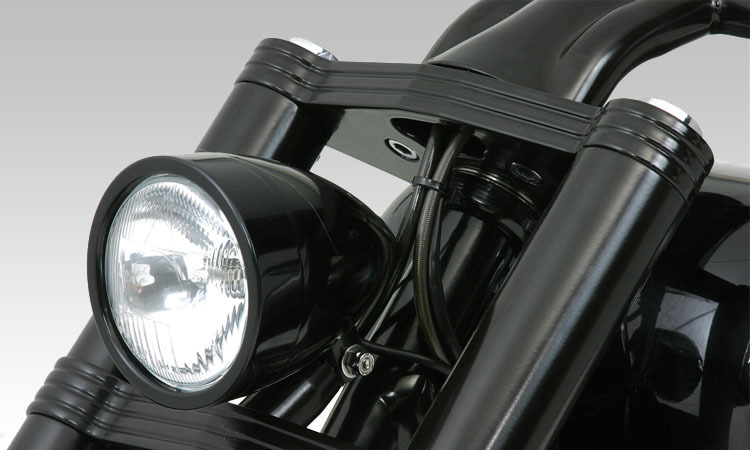 The “Black Prince” kits contain almost any part you need to build your own Custom motorcycle. All parts in this kit are from the industries leading manufacturers. Brakes from PM, wheels from Rick’s, seat by Le Pera, wiring by Wire Plus. The kit comes standard with the famous S&S 96CI (1,530 cc) V-2 style power plant, or a Euro-3 compliant S&S 113CI (1,850 cc) SideWinder, or S&S 124CI (2,035 cc) Super SideWinder motor. 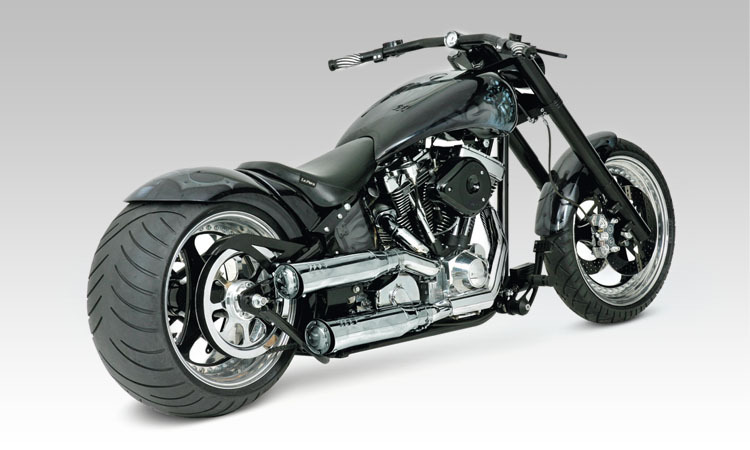 The frame is a TÜV approved Fat-Tube Right Side Drive and matching swing-arm to accommodate for the Avon 300/35-R18 rear tire on the Rick’s 10.5×18 wheel. The use of a Right Side Drive transmission keeps the rear wheel exactly in the center of the frame without the necessity to offset the primary transmission. The swingarm is wide enough to take Avon’s 330 rear tire, when used in conjunction with a matching RSD transmission. This was the option Zodiac chose for when building the pictured bike. Primary drive is by an impressive 3″ wide open belt drive. Final drive is by belt on the right side of the bike. 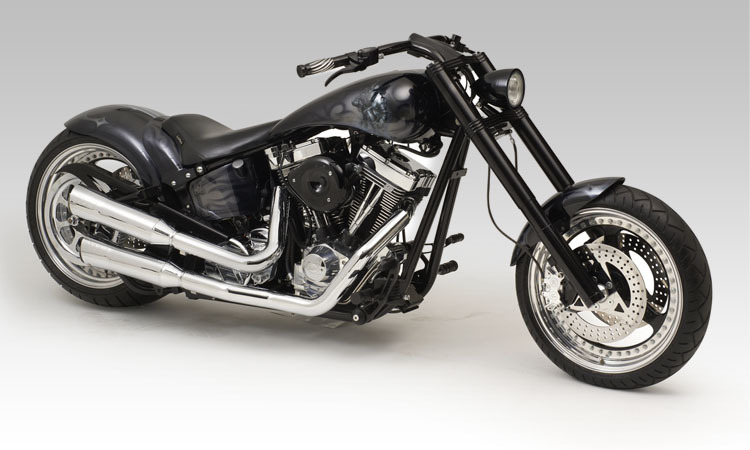 Upon special demand from Zodiac, SuperTrapp re-designed their Fat Shot exhaust system in such a way that they fitted straight on to bikes with a RSD transmission. 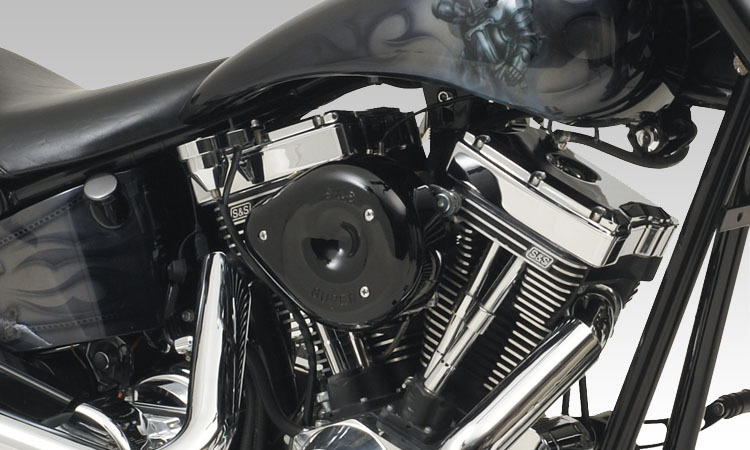 The SuperTrapp Fat Shots feature large volume mufflers for optimal performance and that rumbling V-Twin sound. The front suspension is Zodiac’s TÜV approved Fat Bubba that is 32″ long and is fitted in a set of 3 degrees raked triple trees. Together with the 38 degrees neck rake in the frame and the 130/60×18 front tire this builds a very good handling bike. Anyone who has ever ridden it was amazed that a bike with such an extreme wide rear tire was so easy to steer and also how stabile it is on a long and high-speed straight. The pictured “Black Prince” is equipped with a prototype handlebar with integrated speedo, and a custom build two-piece rear fender. The kit bike comes with raw steel fender strut sides and base and a raw steel rear fender.